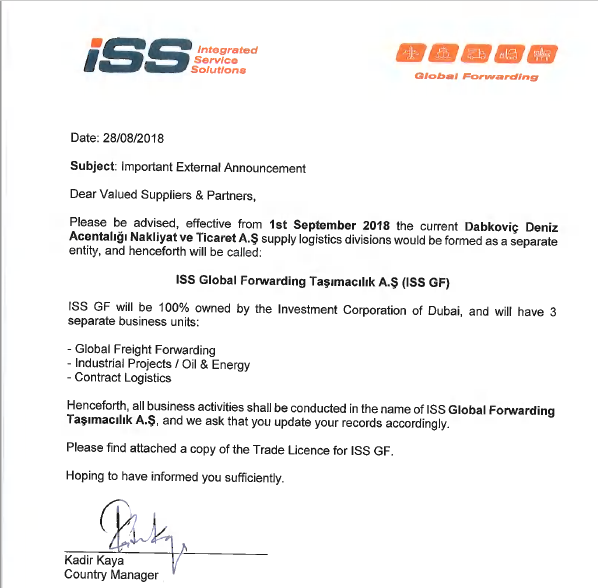 This is to inform you that our Turkey member has recently changed the business name from [Inchcape Shipping Services] to [ISS Global Forwarding]. The change came into effect on [01-09-2018]. We kindly ask you to update your records accordingly and to address all future business correspondence to the new company name.